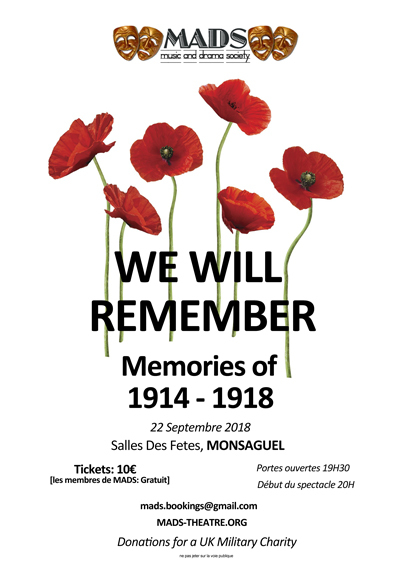 ‘We Will Remember’ will now be at MONSAGUEL in the Salles des Fetes on 22nd September 2018. Book your places now as space is limited. Join us in memories of the great war in poetry, song and drama. This price includes a ‘Trench Food’ Repas!